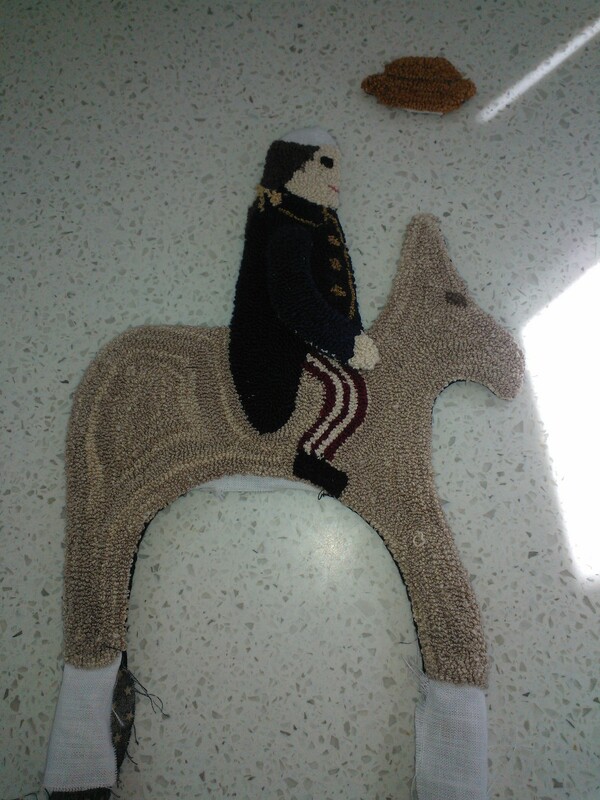 One of my summer projects was a make-do of Yankee Doodle. It is punched mostly with Valdani perle cotton #12. 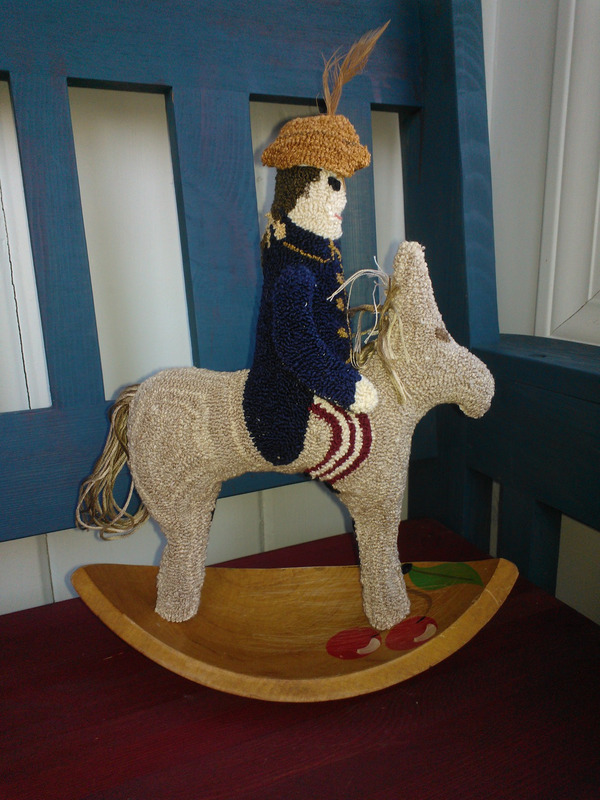 Note from the picture, his hat is finished separately I used a cotton background fabric; blue with little stars. 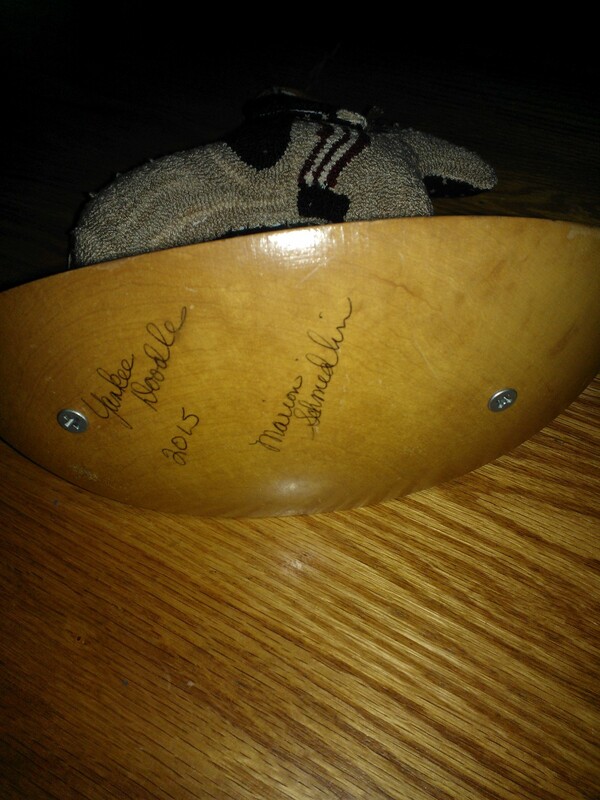 I used a wedge from a wooden bowl to create the rocker. 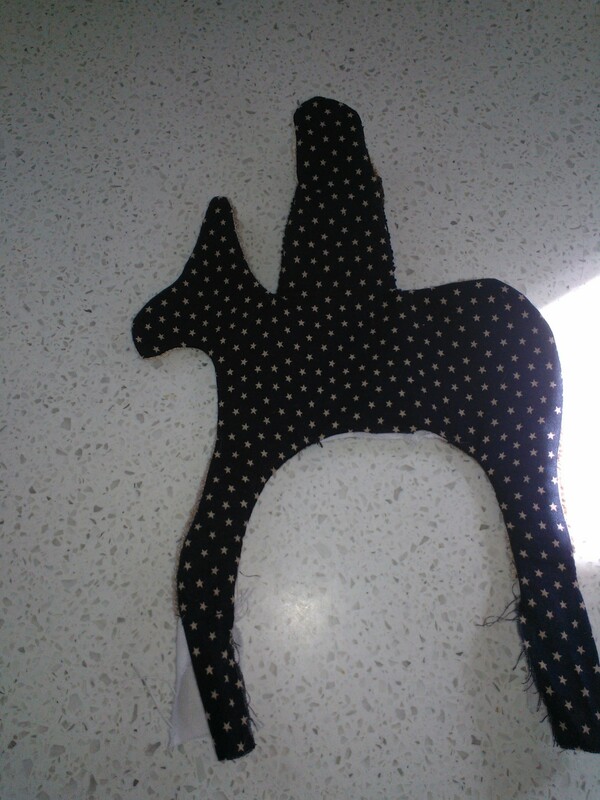 After stuffing Yankee Doodle I used dowels run through holes in the rocker to attach. I debated whether or not to leave the cherries, but decided they were George’s from his cherry tree. Thanks Lori. I’ve tried a few 3-D piece and discovered the hard way that you can’t make them too small. Inverting the piece after attaching the back can be difficult. 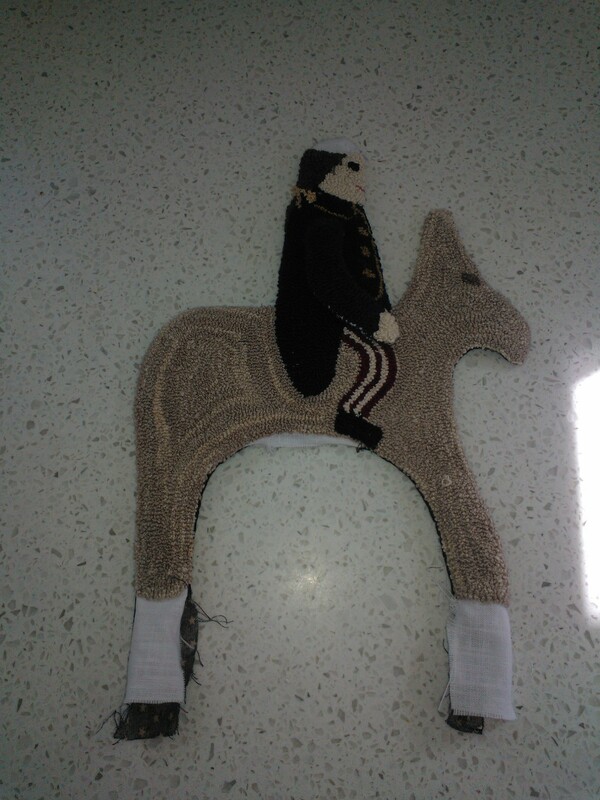 I’m thinking of trying the headless horseman next.